Quality hickory sticks at a friendly price. This drumstick package includes 3 pairs of 100% hickory drumsticks plus another pair for free. 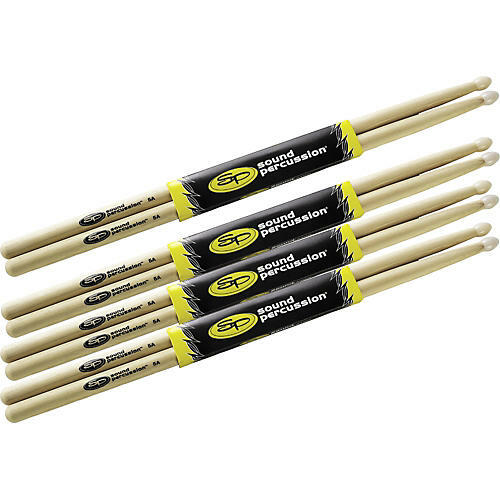 These SP 5A sticks have nylon tips and are made in the USA.